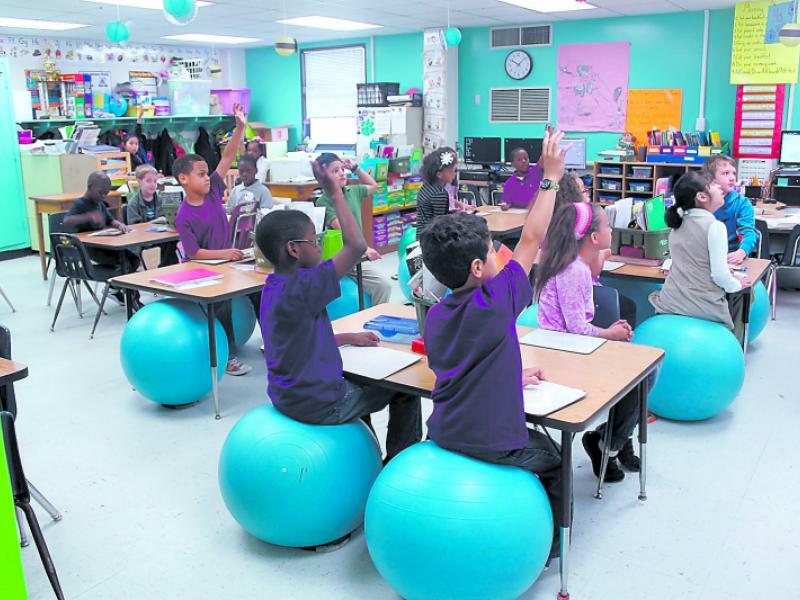 Balance balls might be just what the doctor ordered to help children reach their full potential in the classroom, especially for those with sensory processing disorders, Attention Deficit Hyperactivity Disorder, or just a strong need to fidget! 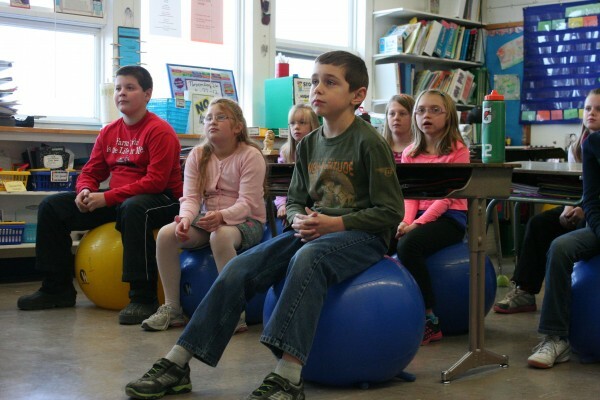 In 2003, a study was published in the American Journal of Occupational Therapy concluding that in students with ADHD, sitting on therapy balls improved behavior and legible word productivity. 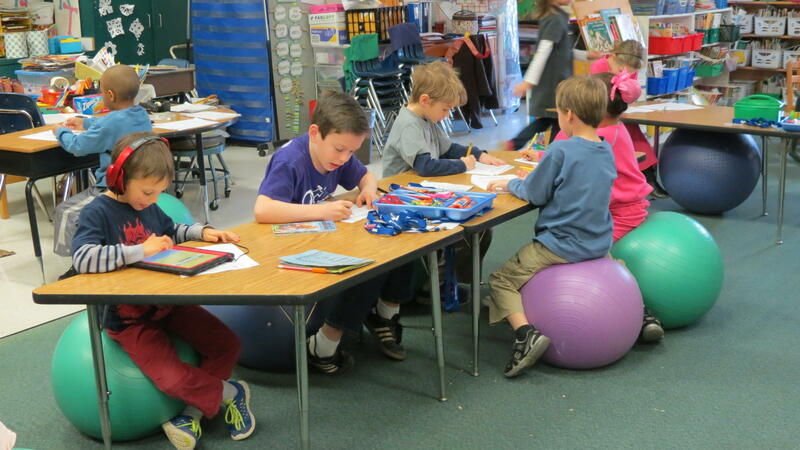 In other words, students using ball chairs were able to sit still, focus, and write more words clearly. Some kids need more movement than others. And for some kids with a sensory processing disorder or ADHD, being in motion allows their brains to be engaged. “There is a neurological pathway that goes from your body’s balance and movement system to your alert system in your brain. The movement actually allows for alertness and attention,” says Diana Henry, an occupational therapist who travels the country in an RV to offer school-based and individual occupational therapy services. That’s where ball chairs come in. In response to the ball’s instability and in order to remain balanced while sitting on one, the body instinctively — and continually — engages core muscle groups. 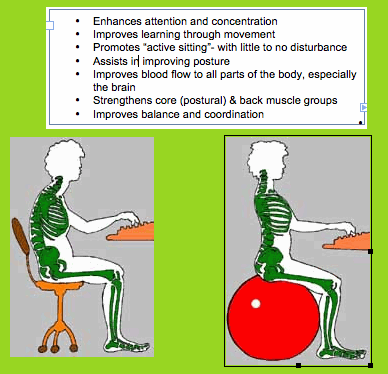 Constant movement is required in order to stay seated on the ball. And that movement, however slight, helps them focus.